You may be wondering what Stranger Danger has to do with dental care - simple answer - keep this principle in mind when choosing new health practitioners! Most people seem to understand the concept of Stranger Danger but very few seem to understand what proper medical care is about. Managing people's health is not an easy task and is not a responsibility that should or can be taken lightly. If you a use holistic view (viewing the patient as a whole vs just as an individual tooth problem) when approaching the care and management of patients as we do at Options Dental Care, it is impossible to provide proper care for patients unless you know who your patient is and what they truly want. This takes time and a good degree of proper communication to establish properly. If you would like further insights into this, please click the button below to see a blog post on it. What do you think dental care entails? The concepts discussed in this section are central to the management and care of all patients we treat at Options Dental Care. Attempting to truly understand these phases which have been taught in the standard dental curriculum at the University of Sydney for over 30 years is we believe crucial to providing optimal care and treatment sequencing for patients. It is my honest belief that not many of our dental graduates truly understand these phases and how to integrate them into real life dental practice. It is probably dismissed as stuff we learnt for an exam in 2nd year dentistry. The following information contains sections lifted directly from the University of Sydney (USyd) dental course and then our practical breakdown and application of it. Aim: To relieve pain and loss of function and TO ESTABLISH CONDITIONS AND PATTERNS OF BEHAVIOUR THAT ARE CONSISTENT WITH ORAL HEALTH. Please note the second half of the aim has been emphasised. The reason for this is that almost every dentist and patient understands and does the first half of the control phase aim but very few seem to make it to the second half. A pattern of behaviour of going to the dentist when it hurts is NOT consistent with oral health. Dentists who allow this to happen are therefore not fulfilling control phase. Obviously then control phase remains a self perpetuating cycle. To properly establish control phase, your first have to be able to identify ALL the problems. This is actually a lot harder than many people realise. A lot of the time, the problem is actually with habits that the patient have that need to be interrupted to enable long term oral health. Control phase should not just be about drill, fill and bill. Identifying all patient risk levels and risk factors and treating them within a reasonable timeframe is critical to the success of this phase. Usually for most risk levels a 6 monthly checkup/recall period is sufficient and typically that is the maximum amount of time we have to safely complete control phase in its entirety. Control Phase is not a phase that you want to ignore. Irrespective of how 'costly' you may think control phase is, if it is ignored, your dental treatment really will blow out in costs as well as pain. Please get Control Phase properly addressed for your own good! Aim: To carry out treatment that, in the longer-term, will result in the maximum conservation of existing soft and hard oral tissues. Conservation phase as the name suggests is all about trying to keep what you already have in the long term. I normally advise patients that it is our 5-10 YEAR plan. However in saying that, it does not mean we have to wait 5-10 years to complete it. Ideally it should be completed as soon as practically and financially possible for optimal dental outcomes. However given that every patient has limited time and money, a 5-10 year time frame, working with the patients private health insurance is typically a very realistic timeframe to complete conservation phase in. In our practice, it normally does involve a complete replacement of all defective restorations. 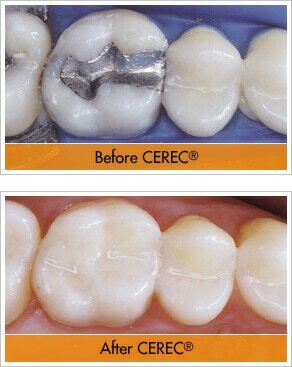 Restorations than are less than a third of the dimensions of the tooth (length/width/depth) can typically be replaced with standard restorative materials such as composite resins however larger restorations where the loss of tooth structure is such that the structural integrity of the tooth has been compromised, should really be restored with a 'tooth equivalent' material. 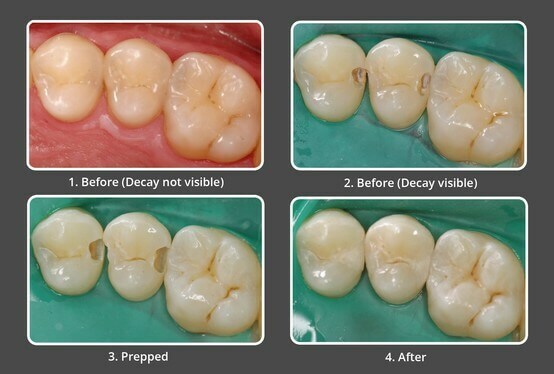 We do specialise in doing this with our CEREC machine and the end result is much more conservative than the common technique many dentist utilise which is just crowning each compromised tooth. Quite often we do start the conservation phase towards the end of the control phase and often manage to combine the two resulting in time and money savings for the patient. Aim: To enhance function, stability and aesthetics of the conserved and healthy oral tissues, using fixed and removable prosthodontics. Reconstruction stage is the 'glamour' stage of dentistry that everybody wants but doesn't always go ahead with due to the costs involved. I often incorrectly tell patients that this stage is a stage of WANTS rather than that of NEEDS as no one really needs that implant back where they lost their back tooth when they were a kid but have been chewing decently their whole lives. However I say this only to contrast the fact that the really NEED the tooth decay they are presenting with fixed now. However from a strict dental perspective, the teeth and associated structures such as the jaw joints were designed to function as a whole unit and any loss of the stability of that unit does potentially compromise the whole unit in the long term. Reconstruction Phase is very important but should most definitely be addressed once the other 3 phases are under good management. Reconstruction phase is usually the most expensive of all the phases. Aim: To ensure that sound long-term practices have been established that favour good oral health. Determine when recall is required. This is where I have a minor gripe with my training. Sure it took about 13 years of private practice before I got to this stage. I do not understand why the Recall/Maintenance phase is positioned right down the bottom and isn't prioritised right up the top in lieu of Diagnostic Phase some US dental schools use and above Sydney University's Control Phase. The aim looks to me almost identical the second half of Control Phase. If we emphasise the training on this stage more I believe patients will have better teeth. Recall Phase by it's nature should automatically involve screening the patient for all existing and new problems. Determining a risk based recall interval should be established when establishing risk levels and patterns of behaviour that are consistent with oral health during Control Phase. 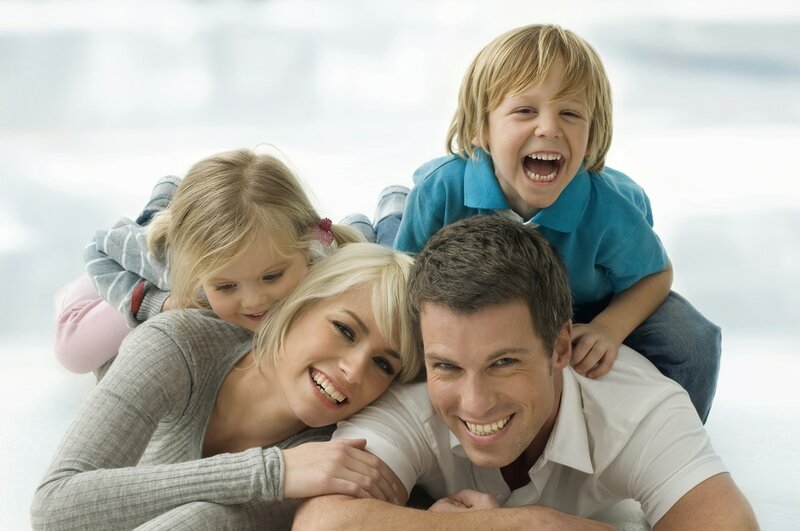 A correctly managed recall phase is the most important thing your dentist can do for you and your family. It is also the most least costly of all the phases and should be prioritised as a health need.